Home › Gallery › Print (image) › American Red Cross Bay Area Chapter	› What Do We Have to Do to Get Your Attention? 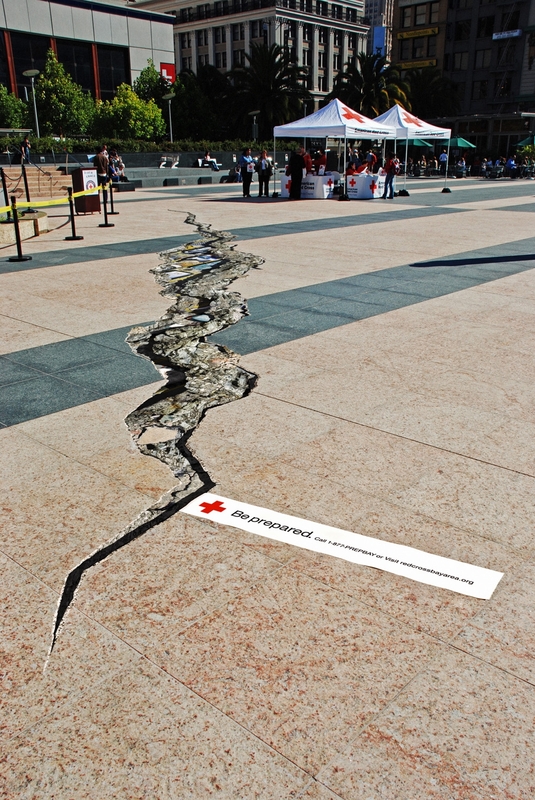 The latest round of stunts in Publicis & Hal Riney's wakeup call to the unprepared people of San Francisco, on behalf of the Red Cross Bay Area chapter, is led by "Super Crack," a simulated 60-foot crack ripping through the prime tourist location of Union Square, riffing on the rift of a major earthquake. 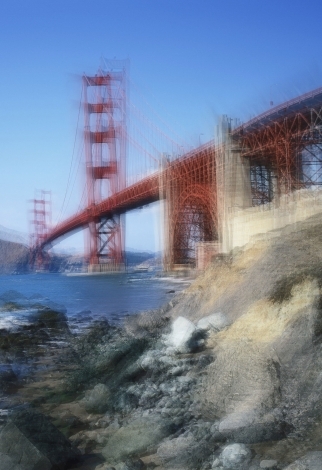 The United States Geological Survey predicts a 62% chance that a catastrophic earthquake will hit the Bay Area in the next 30 years, according to Riney, and there was a 4.2 magnitude quake as recently as July 20. Nevertheless, "It's hard to believe that the data alone don't compel people to get prepared, but research shows that Bay Area residents just aren't ready for a disaster," says CD Dominic Goldman. 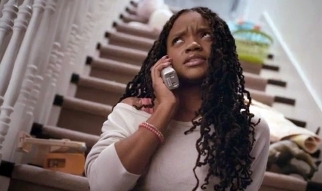 "This campaign hits at the heart of that denial to disrupt people who've become indifferent. Like the mobile billboards in the first phase of the campaign, a 60-foot crack down the middle of downtown San Francisco literally stops people in their tracks and gets them to think." Possibly about how best to frame this as a background for the cellphone pic they're about to take of their friend, but, hey, the warning can't hurt. According to the agency, Super Crack is a CG image applied to an adhesive vinyl called ScotchCal Film, a 3M product. It was assembled in pieces, and the barriers seen here were temporary, since the material is scuff-proof. 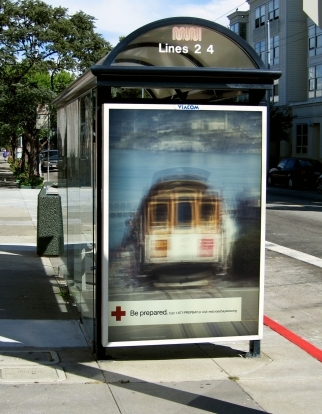 In addition, bus shelter ads featuring shaky Corbis stock photos of various San Francisco icons further play up the looming quake experience.